Call Liana (213) 321-5536 or Leeroy (818) 641-6707 for any questions. 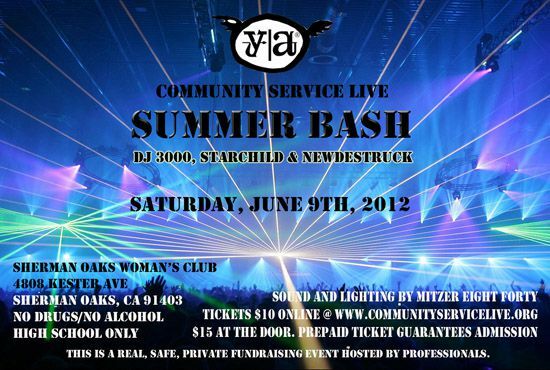 YA/Community Service Live is a non-profit organization founded in 2002. This is a fundraising event for charities and to support college scholarships. We have a team in Pacific Palisades/South LA/West Valley. 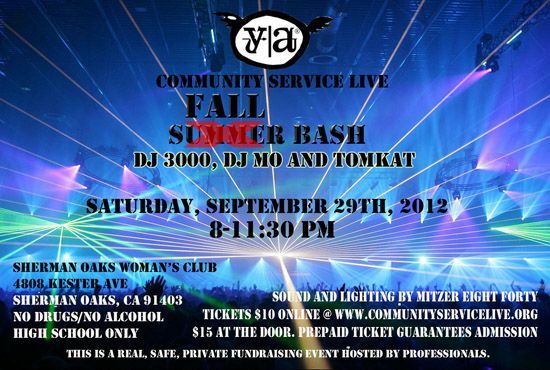 YA/Community Service Live is a non-profit organization founded in 2002. This is a fundraising event for charities and to support college scholarships. We have teams in Pacific Palisades/South L.A./West Valley.